Puerto Vallarta offers miles of white sand beaches, dazzling sunsets and awe-inspiring mountains covered in lush greenery that will surely delight, even the most seasoned traveler. 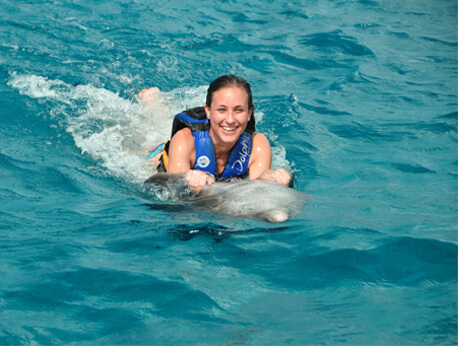 Don't forget to try our Signature Dolphin Swim when visiting Puerto Vallarta. 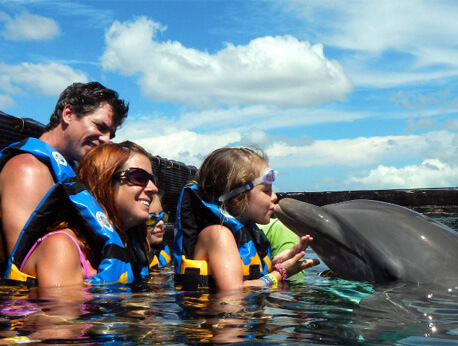 It's a favorite among travelers to this region in Mexico along with the Puerto Vallarta Dolphin Center. 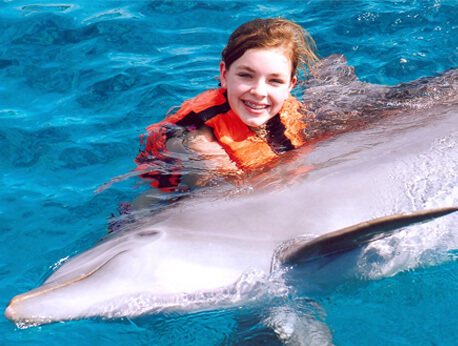 If you're visiting Puerto Vallarta, you will not want to miss an enchanting personal interaction with amazing dolphins. 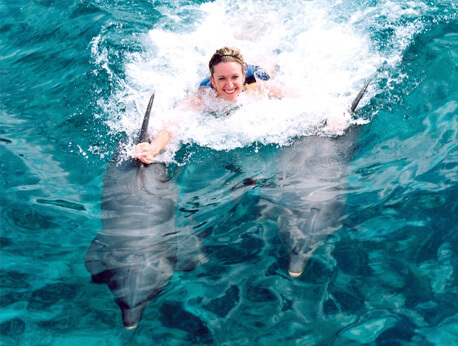 With the spectacular backdrop of the Bay of Banderas and Pacific Ocean, you will play with these wonderful mammals of the ocean, the Pacific Bottlenose Dolphins. Throughout history, stories of humans interacting with these remarkable aquatic mammals have become the tales of lore. In times of peril, dolphins have aided people. These intelligent creatures have guided swimmers to refuge and sailors to safe harbors. 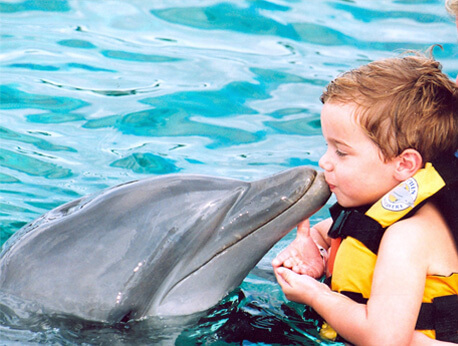 Experience just how sociable and friendly the dolphins really are when you visit us in Puerto Vallarta.